Suzo-Happ has developed the exclusive "Posi-Snap" design to assure a positive fit between the button bezel and the lampholder assembly. Simply insert the lampholder assembly into the button bezel (step 1), then rock the lampholder assembly to one side while pushing forward into the button body (step 2), then rock the lampholder assembly in the opposite direction until it 'clicks' in place (step 3). 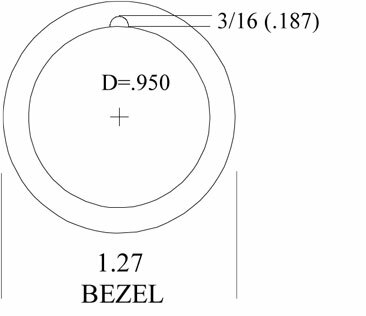 Hole Size: .950 with 3/16 (.187) Dimple in circle for anti-rotation of switch.